Like a pair of classic diamond ear studs, an elegant eternity ring, minimalistic solitaire ring and diamond stud pendant, a tennis bracelet is a must-have jewel for every lady! 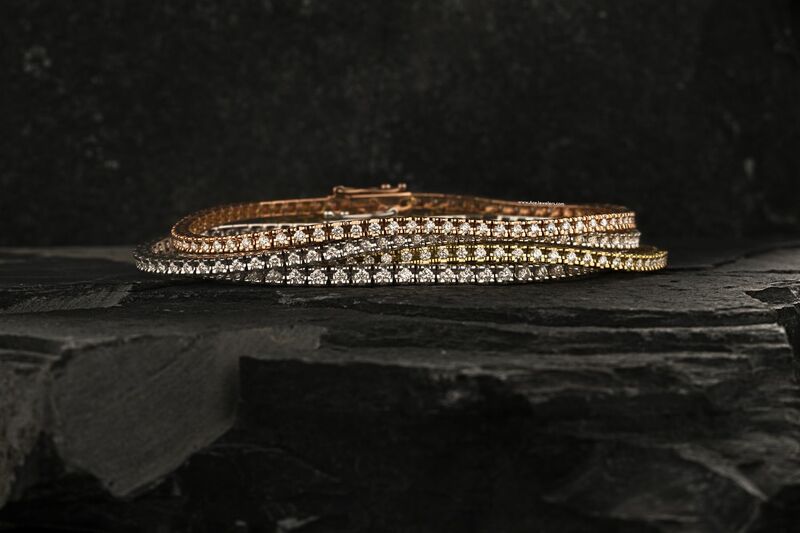 The most timeless tennis bracelet, also know as an Alliance Bracelet, is the four-pronged setting. It's not only the most elegant, but also most robust of all designs. Like every Ace Collections jewel, this bracelet is developed and hand made in the work shops of Ace Jewelers. This bracelet is crafted in 18 karat white gold and has approximately 1.66 carats of diamonds. 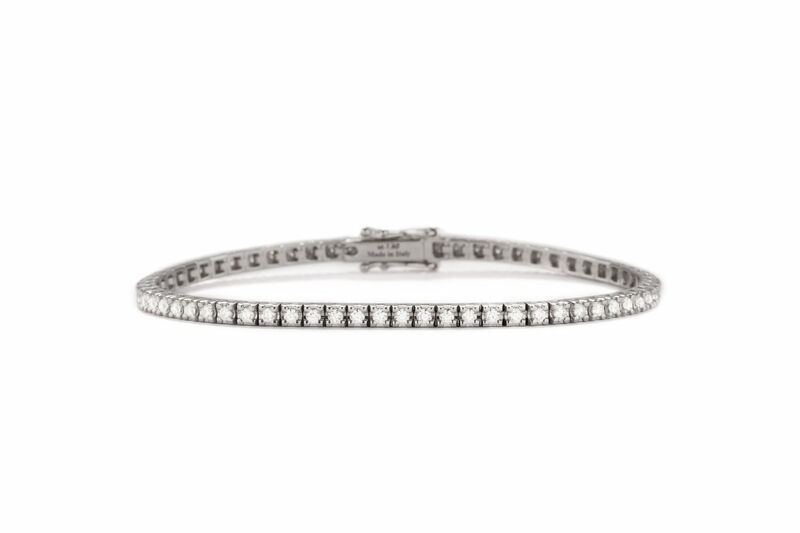 Fun Fact: Although the tennis bracelet was not designed to be a fashion accessory for match play, it was in fact the game of tennis that gave the bracelet its name. 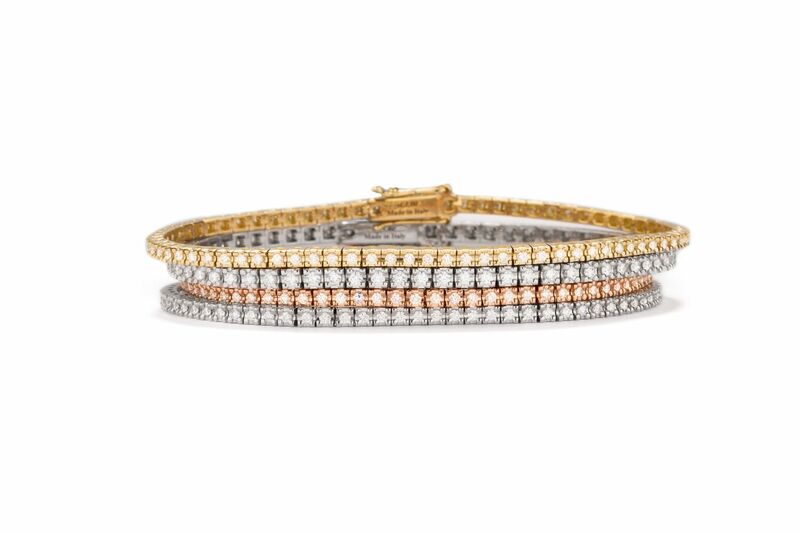 Ever since an unfortunate mishap with tennis legend Chris Evert during a major tennis tournament, these diamond bracelets have been called "tennis bracelets".